In a significant decision, the Allahabad High court, in the matter of delay in Funding of private unaided schools, directed the State Government to frame its policy regarding funding of unaided private schools falling under the Right to Education Act. Bombay High Court on Monday stayed an order of interim relief granted by the Family Court, taking into consideration the age of the child while granting overnight access to the father. The Court quashed criminal proceedings against Bollywood Actress MallikaSherawat in a case accusing her of promoting obscenity through films. Justice AB Chaudhary of Nagpur bench of the High Court allowing the Revision application filed by the Bollywood actress, Magistrate had failed to apply his mind to the settled law and the provisions of the Cinematograph Act before issuing summons. 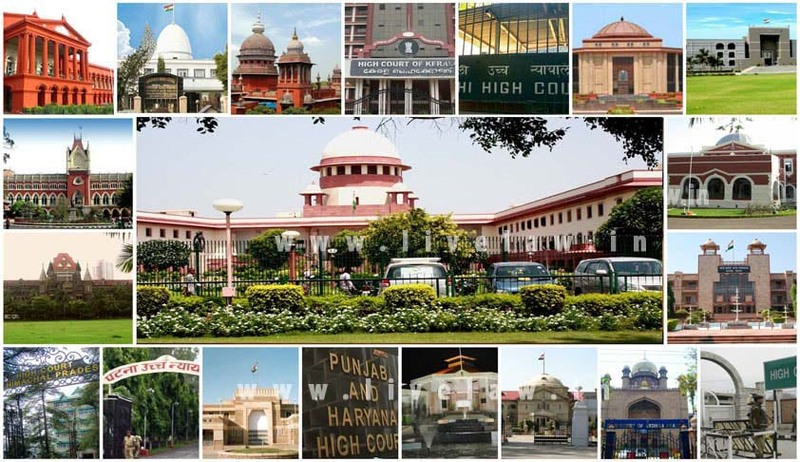 Legality of issuance of process in an Anticipatory bail application? Jharkhand High Court referred to Division bench, to answer a question whether in an anticipatory bail application preferred under section 438 Cr.P.C., the Court can look into the legality or otherwise of issuance of process under section 82 Cr.P.C. The High Court of Kerala held that the court which ordered a further investigation in the vigilance case against the Finance Minister of Kerala, K.M. Mani is perfectly justified. Justice Kamal Pasha observed that the court ordered a further investigation as the Director of Vigilance failed to exercise his power under Section 173(3) Cr.PC. However the revision petition was disposed of by expunging the observations made in the order, against the Director of Vigilance that he has no power to give timely directions to the investigating officer. The High Court asked the Education department of the state to install CCTV cameras in the examination hallsof the colleges to function during examination hours before June, next year. According to Justice V. Chitambaresh, the installation of CCTV cameras would act as a deterrent for a student to indulge in the mal-practices aforesaid for fear of being detected eventually. The Madhya Pradesh High Court Single Bench Justice C.V. Sirpurkar while considering an application under Section 5 of the Limitation Act for condonation of delay of 319 days in filing appeal from the order of Railway Claims Tribunal held that Section 5 of the Limitation Act has no application to an appeal under sub-section (1) of Section 23 of the Railway Claims Tribunal Act, 1987 and the High Court has no jurisdiction to entertain such appeal beyond the stipulated period of limitation of 90 days regardless of the fact that the appellant had sufficient cause for such delay. Madras High Court has upheld a dismissal order of two Law students who were dismissed from Government Law College, Trichy for sending obscene messages and making phone calls to a lady Professor of the College. Division bench comprising of Justices R.Sudhakar and V.M.Velumani refused to interfere in the order of Single Judge who had dismissed the Writ petitions filed by the students against their dismissal from college. In a Writ Petition filed by Bangaluru-based M/s.Mahavir Home Appliances the Madras High Court Division Bench comprising of Chief Justice Sanjay KishanKaul and Justice PushpaSathyanarayana quashed an order of the Intellectual Property Appellate Board (IPAB) issued in 2012 which directed the Registrar of Trade Marks to remove the trademark ‘Rally’ for fans owned by the firm Mahavir Home Appliances from trademark register.